Looking for a seriously engaging and effective process to unlock and (re)align team potential? A series of open workshops to unlock, unleash and transform performance. Communication Academy - write, speak and present with impact. NEWS Leadership Academy - strengthen your ability to navigate through fast-changing and challenging times. Enhance your leadership capability as you clarify direction, explore motivation, identify how to overcome barriers and plan actions for future success - at personal, team and organizational levels - through the NEWS™ Navigation model. Innovation Academy - apply creativity and manage innovation for yourself and your business. Each Academy runs for 3 days, Monday-Wednesday, and you may register for 1, 2, or 3 days. The more days you register for the better value the investment. As the courses are intensely practical, interactive and hands-on, we are limiting the size of each workshop in the Academy to 12 delegates to optimize opportunities for quality discussion and individual feedback. Each day runs from 09:00-17:00 and lunch and refreshments are provided. The Spanish House offers plenty of breakout space and the opportunity of reflective walks in the fresh air and a break from your usual work routine that will stimulate and energize thinking. Registration fees are the same for each Businessfruit Academy. Take a look through the Academy agendas on the right. 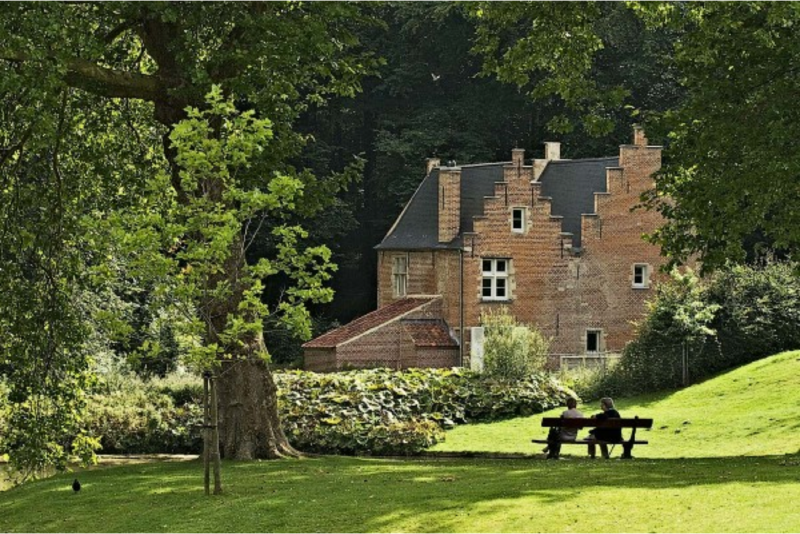 Each Businessfruit Academy takes place in the unique and beautiful venue of 'The Spanish House' in Tervuren Park near Brussels in Belgium. ~ see photo and map below. The Spanish House is in Tervuren Park, and is conveniently located midway between Brussels and Leuven, and close to Brussels Airport and the major road intersections from The Netherlands, Germany, Luxembourg and France. There is ample parking in Molenberglaan, which runs along the outside of the park. It is then a short (150m) and flat walk through the park to the Spanish House. If you need accommodation, more specific travel information or have special requirements in any way, please let us know. 1. Save time by being in more control of how you plan, draft and edit your writing. 2. Improve quality by developing your understanding and use of clear, brief, persuasive style. 3. Increase impact by using persuasive structures effectively to lead the reader. Materials: Each participant receives a copy of the 'Writing Dynamics' manual. 1. Structure ideas in clear and compelling ways. 2. Handle objections and use “bridging” strategies to clarify questions, defuse issues and buy time. 3. Answer questions quickly and coherently, especially when under fire. Materials: Each participant receives a copy of the 'Think on Your Feet®' manual. 1. Involve your audience and position your ideas for their core concerns. 2. Design and craft a clear, engaging and compelling presentation. 3. Deal with nerves and deliver with confidence, presence and impact. Materials: Each participant receives a copy of the 'The Skilled Presenter' manual. 1. Think creatively and use your brain to greater potential. Materials: Each participant receives a copy of the 'Mind Mapping for Business' book and the Buzan creativity manual. 1. Apply a set of tools for generating creative ideas, beginning briefly with brainstorming, then moving to powerful and effective 'pattern-breaking' tools. 2. Frame persistent problems in a practical and effective way and generate creative solutions. Materials: Each participant receives a copy of the 'Applied Creativity" manual and creativity toolkit. 3. Explore the norms, values, competencies, structures, and processes that	facilitate innovation and begin to develop a draft innovation agenda that can be explored, developed and implemented following the workshop. Materials: Each participant receives a copy of the 'Managing Innovation' manual.